i love to sew and i love to cook. 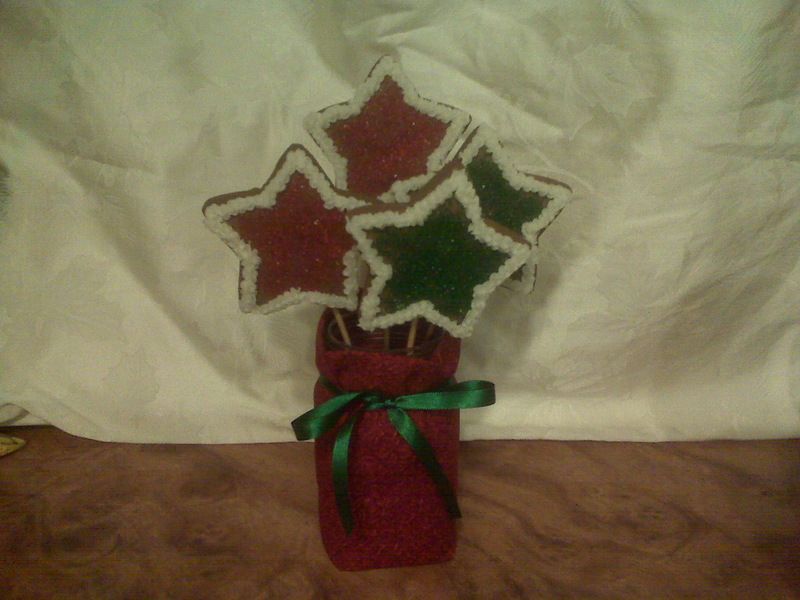 for quite some time, my mother has been working on honing her skills at bread mixes, gift boxes and cookie boquets. this holiday season, i decided it was time to give some of my skills a go. 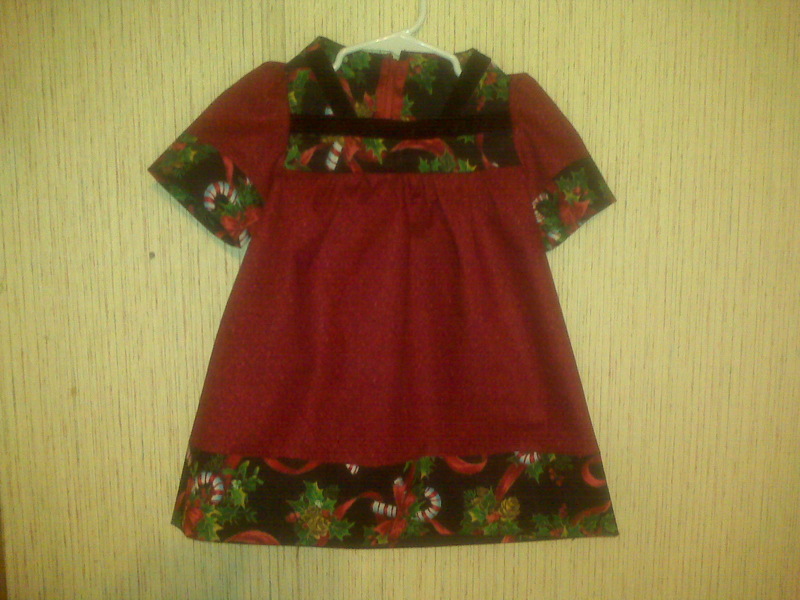 first, i made my daughter’s christmas dress (i have previously made her 2 halloween costumes, 1 christmas dress, 1 birthday dress and 1 dress to wear to a wedding). this year’s christmas dress turned out very well and she LOVES it – evidenced by her grabbing it when she saw it, hugging it and running around with it and saying Wow!, wow!. the second thing i tried my hand at this season was a small cookie boquet. the base is a pint jar covered in scrap fabric and tied with leftover ribbion. the stars are gingerbread cookies baked with green and red sugar and edged with extra thick buttercream frosting from a wilson #16 star tip. you go cookie girl! they look so cute! would you like to make me a christmas dress?